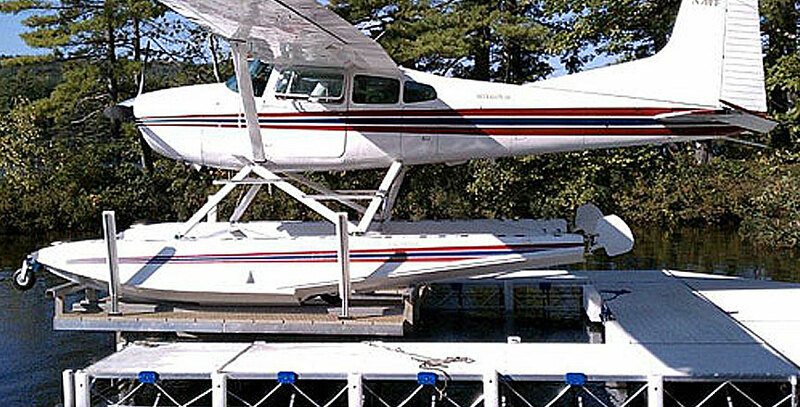 Hewitt’s expertise in building lifting systems for all types of watercraft includes stock and fully custom solutions for float planes. Cantilever and hydraulic lifts, along with the Roll-A-Rail system can be configured to meet almost any need. 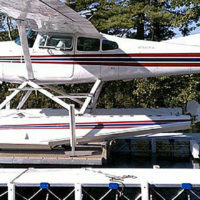 Float Plane Lifts are available in sizes up to 170” wide x 240” long with weight capacities up to 18,100 lbs. Numerous accessories, guide options and remote control facilitate easy alignment, docking and operation. A well-designed system can reduce flight preparation time, aid maintenance and inspection, and protect your plane from the damaging forces of wind and waves.